If you have been dealing with a painful condition, like arthritis, you are probably aware not only of the physical pain, but of the psychological impact of your condition as well. More often than not, the psychological effects of pain can be worse than the actual physical pain. For many people, experiencing pain is not a choice. However, you can exercise mastery over your pain with the way you cope and respond to it. You have the power within you to overcome the psychological effects of pain and not be mired in fear. 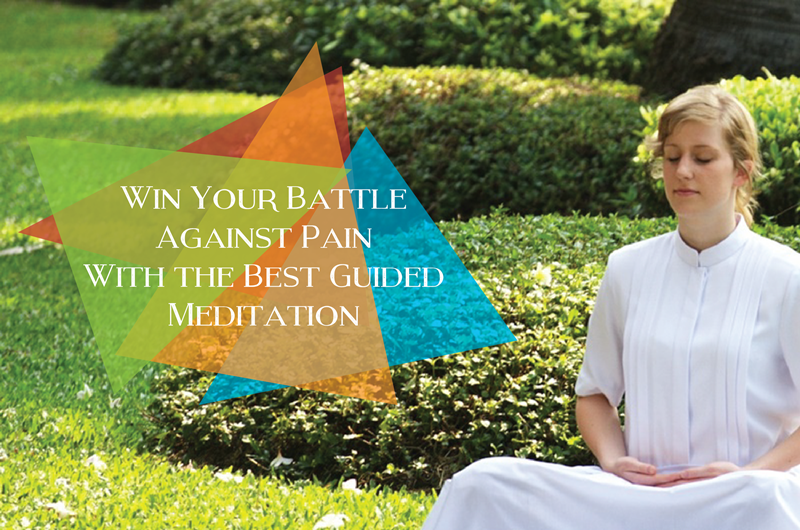 One pain management technique that is fast gaining traction among the general public and medical circles is the use of meditation, which includes the best guided meditation techniques. Meditation refers to numerous mind-body practices that use different techniques in order to relieve pain, stress and anxiety. For pain management, meditation can be used as an alternative to other methods, including medication. How exactly can you use meditation for pain management? Meditation can be used in a variety of ways. You may use it to lower the intensity of the pain you are experiencing. It can be also used to moderate the cycles of pain escalation. Finally, it can help you banish your negative thoughts associated with the physical pain. According to many experts, negative thoughts can worsen the pain that patients experience. By banishing these thoughts, releasing the associated stress and anxiety, and embracing positivity, you can eliminate your victim mentality and bring yourself to a place where you create your own reality. Many in the medical community believe that practicing meditation is one big positive step for many patients who feel overwhelmed by their pain. By learning and understanding your pain, you can develop the right reaction toward it. Study after study confirms that mediation offers numerous benefits including relief from psychological distress and improvement in the quality of life. The practice of meditation can even help patients reduce pain while enabling them to regain a good measure of normalcy in their daily functions. Some studies indicate that meditation does not only work in a patient’s mind. It can also help ease the pain, even without relying on medication. Through meditation, you can come to terms with your feelings, including the positive ones. No longer will you have to be confined by your negative emotions. Through regular practice, you can cope better with pain while building a positive outlook about your life. While meditation cannot replace other pain management tools, it can be used to supplement these.